ww2dbaseNamed after the German city of Cologne, light cruiser Köln performed training cruises during the early- and mid-1930s. In 1937, she patrolled the Spanish coast during the Spanish Civil War under the command of Captain Otto Backenkohler as part of the international naval blockade. During the German invasion of Norway in Apr 1940, under the command of Captain Theodor Burchardi, she served with Task Force 3. For the most part between 1940 and 1941, she mined various coastal regions and hunted for Allied convoys. In late Feb 1943, she was damaged during a submarine attack, and was placed under repair between Mar 1943 and 1 Apr 1944. Upon completion of repairs, she served as a training vessel under Lieutenant Commander, later Captain, Hellmuth Strobel. On 12 Dec 1944, she was heavily damaged during a bombing raid, destroying her powerplant. She received temporary repairs in place, and sailed to Wilhelmshaven, Germany for permanent repairs, arriving in Feb 1945; during the transfer to Wilhelmshaven, Lieutenant Commander KK Frotz-Henning Brandes took command in Jan 1945. She was further damaged by two more bombing raids. The latter of which, during the night of 3 Mar 1945, caused her to sink on even keel. Since her turrets remained above water, she served as a stationary gun platform until the end of the war, firing at advancing Allied troops. She was scrapped in 1946. 1 Jan 1930 Köln was commissioned into service. 15 Jan 1930 Cruiser Köln was commissioned into service with Fregattenkapitän Ludwig von Schröder at the helm. 15 Oct 1930 Cruiser Köln completed trials and training in the Baltic Sea and North sea. 28 Oct 1930 Cruiser Köln began to perform gunnery drills in the North Atlantic. 31 May 1931 Cruiser Köln conducted training operation in the Baltic Sea. 1 Jun 1931 During this month cruiser Köln traveled to Norway and conducted operations in the North Sea, Jutland, and the Baltic Sea. 7 Jan 1932 Cruiser Köln began to perform gunnery drills and training operations in the North Atlantic. 29 Jan 1932 Cruiser Köln completed gunnery drills and training operations. 1 Sep 1932 Fregattenkapitän Otto Schniewind took command of cruiser Köln. 8 Dec 1932 Cruiser Köln departed German for her first international voyage that would last one year; she would visit the Mediterranean Sea, Alexandria (Egypt), Suez Channel, India, Indonesia, Australia, Pacific, Japan, Qingdao (China), Indonesia, Ceylon, Suez Channel, Greece, Italy, and Spain. 12 Dec 1933 Cruiser Köln returned from her first international voyage. 9 Jun 1934 Cruiser Köln began gunnery drills with pocket battleship Deutschland. 28 Jun 1934 Cruiser Köln completed gunnery drills with pocket battleship Deutschland. 1 Nov 1934 Cruiser Köln began two months of repairs at Wilhelmshaven, Germany. 1 Oct 1935 Fregattenkapitän Otto Backenköhler took command of cruiser Köln. 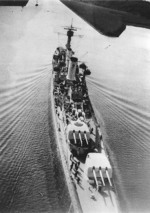 1 May 1936 Cruiser Köln began two months of operations off Portugal. 7 Jun 1936 Cruiser Köln began operations off Spain. 29 Jun 1936 Cruiser Köln completed operations off Spain. 30 Jul 1936 Cruiser Köln began operations off Spain. 10 Aug 1936 Cruiser Köln completed operations off Spain. 1 Oct 1937 Kapitän zur See Theodor Burchardi took command of cruiser Köln. 1 Jan 1938 Cruiser Köln began two months of repairs at Kiel, Germany. 31 Oct 1938 Cruiser Köln began five months of repairs and refitting at Kiel, Germany. 13 Apr 1939 Cruiser Köln began training in the North Atlantic. 16 May 1939 Cruiser Köln completed training in the North Atlantic. 8 Oct 1939 Cruiser Köln began in a raid in the North Sea. 12 Dec 1939 Cruiser Köln and other warships screened minelayers during a mining mission. 13 Dec 1939 Cruiser Köln returned from screening mission for minelayers. 15 Jan 1940 Kapitän zur See Ernst Kretzenberg took command of cruiser Köln. 9 Apr 1940 Cruiser Köln participated in the invasion of Norway. 11 Apr 1940 Cruiser Köln returned from Norway, arriving at Wilhelmshaven, Germany. 1 May 1941 Kapitän zur See Friedrich Hüffmeier took command of cruiser Köln. 1 Sep 1941 Cruiser Köln began supporting the invasion of Dagö and Ösel islands and disabled Soviet coastal batteries at Cape Ristna. 1 Feb 1942 Cruiser Köln began four months of repairs and refits in Wilhelmshaven, Germany. 1 Mar 1942 Korvettenkapitän Hellmuth Strobel took command of cruiser Köln. 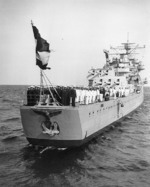 1 May 1942 Kapitän zur See Martin Balzer took command of cruiser Köln. 9 Jul 1942 Cruiser Köln departed for Oslo, Norway, laying mines en route. 12 Jul 1942 Cruiser Köln arrived at Oslo, Norway. 13 Jul 1942 Cruiser Köln departed Oslo, Norway for northern Norway. 14 Jul 1942 Cruiser Köln began a minelaying operation in the North Sea. 15 Jul 1942 Cruiser Köln completed a minelaying operation in the North Sea. 6 Aug 1942 Cruiser Köln arrived at Narvik, Norway. 10 Sep 1942 Cruiser Köln, with Admiral Scheer and Admiral Hipper, moved to the Alta Fjord to attack Allied Convoy PQ18, but the attack was aborted due to a British submarine attack. 13 Dec 1942 Kapitän zur See Hans Meyer took command of cruiser Köln. 1 Feb 1943 Cruiser Köln departed a German port for the Baltic Sea. 1 Mar 1943 Cruiser Köln was taken out of service and would remain so for one year. 1 Mar 1944 Cruiser Köln was towed from Kiel to Königsberg, Germany. 1 Apr 1944 Cruiser Köln was recommissioned for training of cadet engineers with Fregattenkapitän Hellmuth Strobel in command. 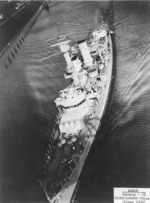 10 Apr 1944 Cruiser Köln began a three-month refit. 1 Jul 1944 Cruiser Köln began a three-month training operation. 1 Sep 1944 Cruiser Köln conducted minelaying operations off southern Norway during this month. 1 Oct 1944 Cruiser Köln conducted convoy operation between Norway and Denmark over the following two months. 13 Dec 1944 Cruiser Köln's power stations and starboard engine were destroyed by Allied aerial attacks. 31 Dec 1944 Cruiser Köln was damaged by Allied aerial attacks. 1 Jan 1945 Fregattenkapitän Frotz-Henning Brandes took command of cruiser Köln. 28 Jan 1945 Cruiser Köln departed for Wilhelmshaven, Germany for repairs. 14 Feb 1945 Cruiser Köln arrived at Wilhelmshaven, Germany. 3 Mar 1945 Cruiser Köln was sunk by British aircraft at Wilhelmshaven, Germany. Her turrets remain above water and operational. 28 Apr 1945 Sunken cruiser Köln's turrets fired against enemy troops advancing at Wilhelmshaven, Germany (near Neuenburg and Bockhorn). Cleaning up my fathers posetions I came accress a Zippo like lighter with the Koeln engraved on it. my father was in the German Navy during WWII. However, he was on a minesweeper and a prisoner of war in England.thought you might be interested about the Lighter.